30 Days of Unlimited Free eFiling! Electronic Court Filing is Mandatory in Cook County, Illinois. Make sure that you file your papers the right way by using CourtFiling.net. 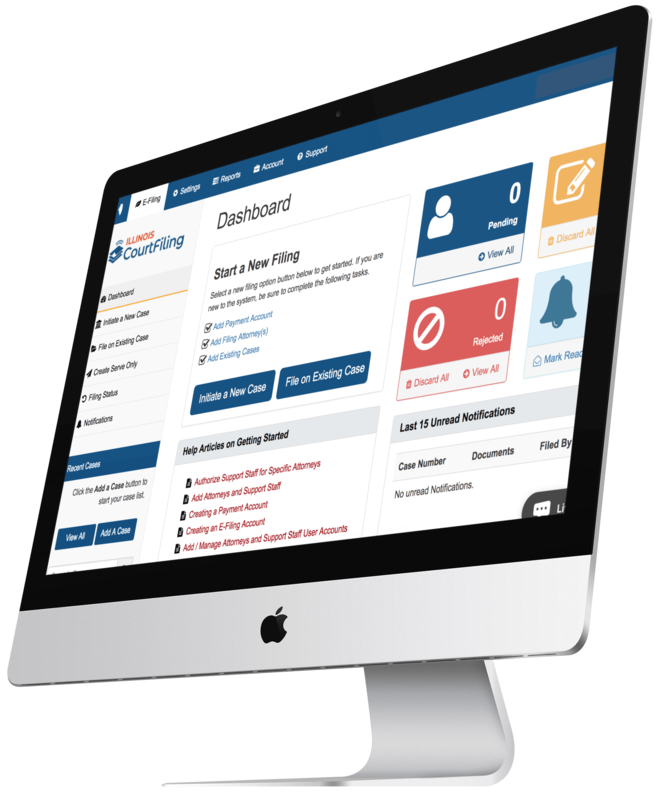 CourtFiling.net was created to make eFiling easy and user-friendly for legal support professionals, law firms, and private individuals in Cook County, Illinois. CourtFiling.net works alongside the Cook County, IL court system to file your legal paperwork directly into their system without having to visit the courthouse. *Please note that the Cook County Clerk is not affiliated with CourtFiling.net.